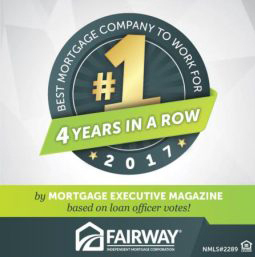 Our Fairway family comprises some of the most talented, sincere, and wonderful people in the mortgage business. If you are looking for a fantastic place to work, we invite you to apply today! Whether you have no experience in the mortgage industry and are looking for a new career opportunity or you are an experienced processor, we welcome you to apply with our team. We will train you in our systems. If you have a good attitude, willingness to learn, and strong work ethic, and enjoy being part of a team, Fairway may be your ideal workplace. We are always looking for experienced, licensed professionals who are searching for the ideal place to support their career. Fairway offers our Mortgage Planners the latest mobile technology, advanced CRM, and custom digital marketing support. Our typical, experienced loan officer will double or triple their production after 18 months at Fairway. Helping someone buy a house, especially a first-time homebuyer, is a meaningful transaction to be part of. Our rookie training program is for fearless, driven people with an ability to communicate, follow up, and do the right things. This is an excellent career choice for the right candidates.